Few new homes can claim such an exceptional town-centre location as Prime Place, Godalming – steps from the High Street; opposite Waitrose; less than 10 minutes’ walk from the station and a short stroll to the picturesque River Wey. Following the success of the apartments, with almost 90 per cent sold, Prime Place has released a new selection of townhouses for sale and has opened a new show house to showcase their quality. The three and four-bedroom townhouses are priced from £574,995 and Help to Buy is available on selected homes. Arranged around a central courtyard garden, each townhouse has a private rear garden and two allocated spaces in the underground car park. The four-bedroom townhouses are arranged over four storeys providing more than 1,600 sq. ft. of space, which can easily be adapted to suit different lifestyles. The living/dining area and separate kitchen are at ground level, with the bedrooms and bathrooms on the upper two floors. In the basement, there’s a utility room and an additional spacious room that can be used for storage or other purposes. The excellent specification includes smart fully-fitted Manhattan kitchens; Roca bathrooms and en suite shower rooms with full-height Porcelanosa tiling and luxury Porcelanosa laminate flooring in the living areas. Godalming, a historic market town, has a great choice of amenities. The local high street is home to an array of independent shops, cafés and restaurants. From Godalming station, regular trains to Waterloo take as little as 47 minutes. The area is well known for its outstanding choice of top-rated state and independent schools, including Charterhouse, one of the UK’s leading independent schools, less than two miles away. Prices at Prime Place, Godalming start from; £574,995 for a three-bedroom townhouse; £749,995 for a four-bedroom townhouse and £449,995 for a two-bedroom apartment Help to Buy is available on the apartments, and on townhouses priced under the Help to Buy threshold of £600,000. Both first-time buyers and existing home owners moving up are eligible for Help to Buy; part-exchange is also available for those with a home to sell. The sales and marketing suite at Prime Place, Godalming GU7 1JG is open daily from 10am to 6pm (closes 5pm on Sunday). In addition to the show house, a two-bedroom show apartment is open for viewing. For more information, please contact on 01483 677119 or visit www.primeplace.co.uk. 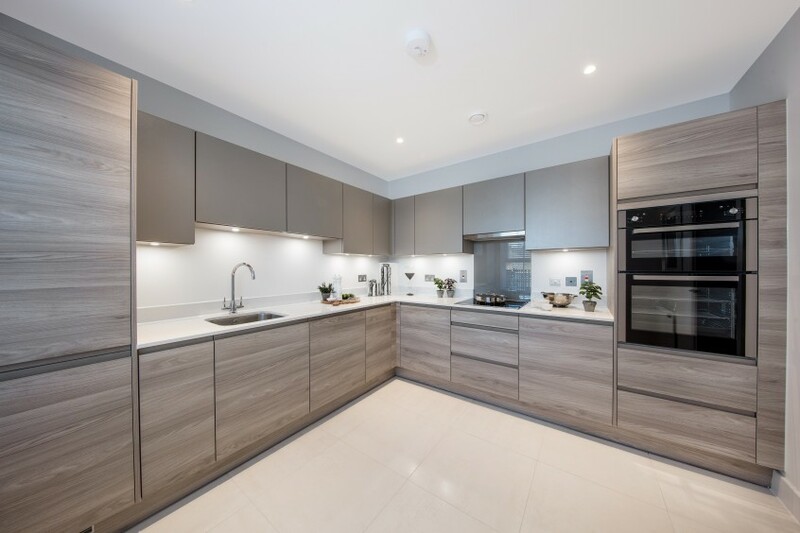 The beautiful Abell & Cleland by Berkeley Homes is situated in Westminster, London, and comprises a selection of 2, 3 and 4-bedroom apartments, duplexes and penthouses. Guests will be suitably impressed by the development’s partnership with the nearby DoubleTree Hilton Hotel, which benefits residents with access to an exclusive in-room dining experience, ideal for dinner parties, and the opportunity to hire a private chef. Guests will also be greeted by an award winning concierge, with Abell & Cleland the first private residence in the UK to be officially awarded the prestigious Golden Keys Award by Les Clefs D’Or, Society of the Golden Keys. Prices from £1,940,000 for a two-bedroom apartment. Please call 02038 135884 or visit berkeleygroup.co.uk for more information. Kennack, a truly stunning five-bedroom family home of Victorian origins in Cranleigh, has been superbly enlarged and renovated by its current owner. The ground floor serves the house particularly well for entertaining. It comprises three high ceilinged reception rooms and a magnificent kitchen and dining room. 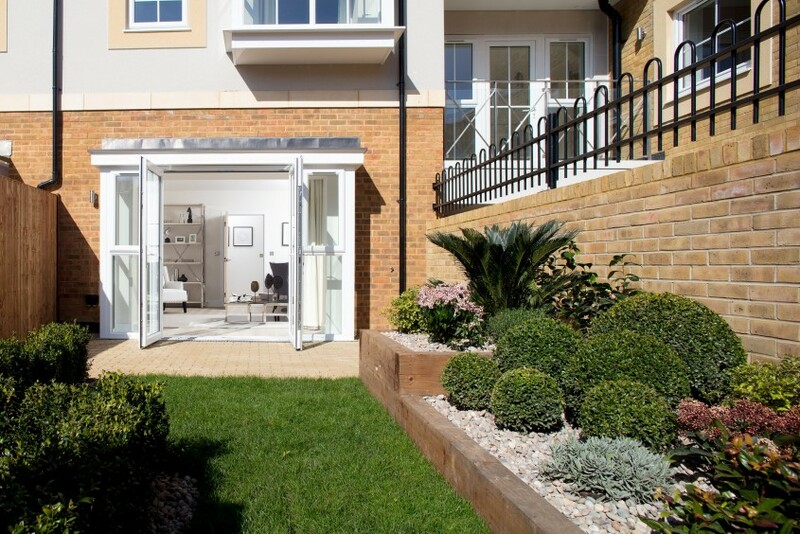 Bi-folding doors open directly onto the terrace and gardens, taking the party outside on summer nights. Guide Price £1,695,000. For more information contact Grantley on 01483 407610 or sales@grantley.net. Prime Place, Godalming is a collection of contemporary apartments and townhouses in the centre of the town, moments from the High Street. The townhouses offer light and spacious kitchen and dining areas, providing great entertaining space ideal for socialising whilst hosting dinner for your friends or family. Private parking is provided in an underground car park, with direct access to the homes. Prices start £277,995 for a one-bedroom apartment. Help to Buy is available. Please call on 01483 351933 or email surreydi@hamptons-int.com for more information. 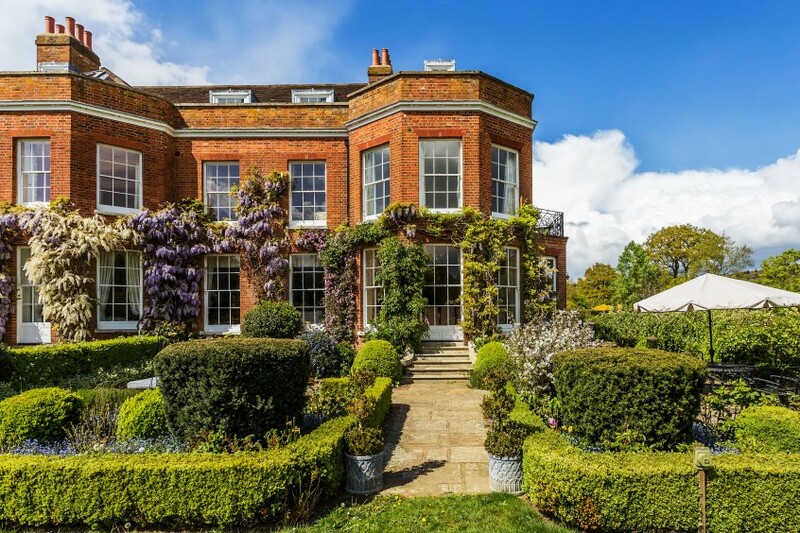 Gillhams House in Haslemere, Surrey, is an eight-bedroom 1930s family house, set within beautiful south facing gardens and parkland of around 7 acres. This home offers an impressive six reception rooms including a stunning dining room perfect for entertaining dinner guests. The home’s swimming pool and games room are suited for relaxed and informal gatherings during the warmer months. Guide price £3,250,000. For more information contact Grantley on 01483 407610 or sales@grantley.net. Now that the John Lewis advert has landed, numerous Christmas lights in town centres across the UK have been switched on by celebrities and we’re less than a month away from celebrating Christmas – we think it’s safe to start feeling excited about the most wonderful time of the year! In the festive spirit, we’ve highlighted some great Christmas events near a selection of our clients’ developments – all with show homes now ready to visit. Westminster Abbey is hosting the Abbey Choir’s annual Christmas Concert which is supported by John Lewis this year. The concert will feature a selection of festive choral works, and traditional Christmas carols for all to sing on the 15th December at 19:00. Berkeley Homes’ luxurious Abell & Cleland development is situated in the heart of historic Westminster, just 12-minutes’ walk from the Westminster Cathedral Craft Christmas Market. Located outside the cathedral, the market offers hand-made crafts that make ideal Christmas gifts. Prices at Abell & Cleland start from £8.34 million for a penthouse. St Mary’s Heritage Trust Christmas Tree Festival occurs yearly at the beginning of December inviting everyone to display a tree in the church which is then open to the public for viewing. Funds raised help preserve the oldest building in Westerham, the 13th century Church, many contribute elegantly, quirkily or entertainingly decorated trees which transform St Mary’s into a veritable Christmas grotto. The contemporary one and two-bedroom apartments at Prime Place, Sevenoaks are just a 15-minute drive from the popular Christmas tree festival at Westerham. Prices start from £340,000 for a one bedroom apartment and Help to Buy is available. Experience a Christmas how it would have been celebrated 700 years ago at Guildford Castle on the 18th December. The grounds will be transformed into a themed 13th century winter wonderland full of traditional festivities for all the family to enjoy. The family homes at Catherine’s Walk by Metis Homes are just a mile from Guildford Castle. Prices start from £695,000 for a two-bedroom apartment and £1,100,000 for a three-bedroom townhouse. Although Guildford has been honoured with its own Monopoly board, there are big changes afoot in nearby Woking. Plans to deliver 560 new apartments across three landmark buildings in Woking have been given the green light after borough councillors voted to approve planning on the scheme. Our client Prime Place will develop the towers, designed by Rolfe Judd architects at 17, 25 and 34 storeys in height, on Goldsworth Road, close to the town centre and mainline train station with fast access to London. The development, a major catalyst for the further regeneration of this part of Woking that will follow, will also include 10,000 square metres of new office space along with public realm improvements, retail space and new leisure facilities. PHM loves keeping up to date with all the latest interior design trends and this winter it’s all about hygge! The Danish term, pronounced ‘hoo-ga’, was originally a Norwegian term for wellbeing. In the interiors world, hygge is becoming increasingly popular and is all about creating a warm, cosy feeling in the home. It’s candlelight and crackling open fires. It’s snuggling up on the sofa with a warm blanket and a cup of tea. Ultimately, hygge is an experience as much as it is a design trend. With an average of just four hours’ sunlight a day and freezing temperatures in the winter months, it is no surprise that creating cosy and inviting interiors is top on the Danish to-do list! Here are some recently launched show homes that have embraced this trend. Light greys, dusty pinks and cool shades of blue create a calming and relaxed colour-scape, while framed artwork injects personality in to the room. The low hanging golden globe light fitting creates the sense of a more intimate and cosy space, and the splash of gold adds a touch of warmth and luxury. 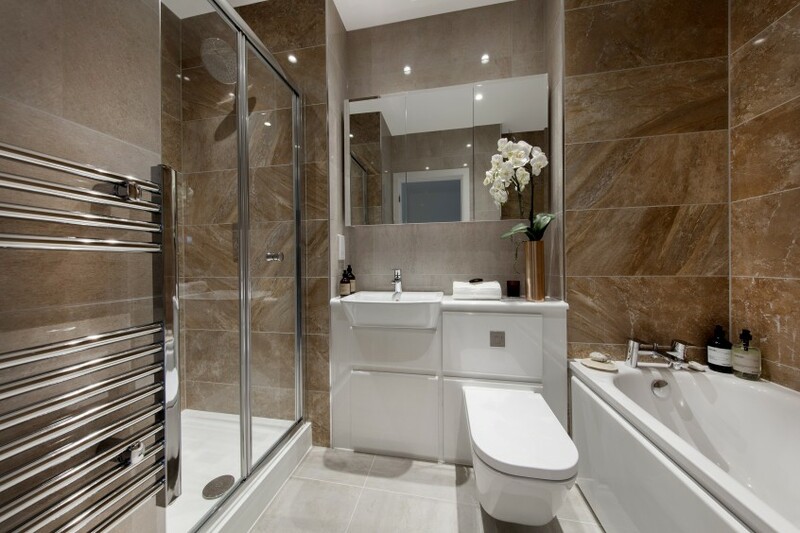 At Catherine’s Walk in Guildford, Metis Homes have also embraced this Nordic trend. The stunning interior of the showhome features minimalist furniture and clean lines, while copper tones create a warming atmosphere. The apartments at Prime Place Sevenoaks also hint at hygge, featuring geometric shapes and pops of bright blue and orange furnishings which complement the woody toned scandi-style furniture. Absolutely Fashion: Inside British Vogue, the documentary that was given unprecedented access inside the fur-filled fashion house for the first time in its history, aired last week on BBC2. The two part documentary, combined with Vogues 100-year birthday plus the upcoming London Fashion Week has had us thinking all things trendy. Fashion isn’t our forte, property is, so we’ve picked out a selection of affordable London homes in lively, trendy areas– perfect for hipsters and those who want style on a budget. The Lexicon, by Affinity Sutton, is situated in City Road – just half a mile away from Islington’s trendy High Street with a host of independent boutiques and sought after high street brands. Over the past decade, around £1 billion has been invested in the area to create a ‘mini-Manhattan’. The apartment at The Lexicon comprises uninterrupted floor to ceiling views of London, a private spa and a 24-hour concierge service. It is easy to assume these new zone 1 apartments are something only Anna Wintour and Alexander Schulman could afford, but with shared ownership prices at this development start from as little as £113,750 for a 25% share (full market value £455,000). For more information on The Lexicon, call Affinity Sutton on 0300 100 0303. Stylist Magazine recently cited Brixton Village – near to Stockwell – as one of the coolest neighbourhoods around the world, due to its culinary renaissance; artisan coffee shops such as Federation Coffee and eateries like Honest Burger sit among the original Caribbean cookware stalls. 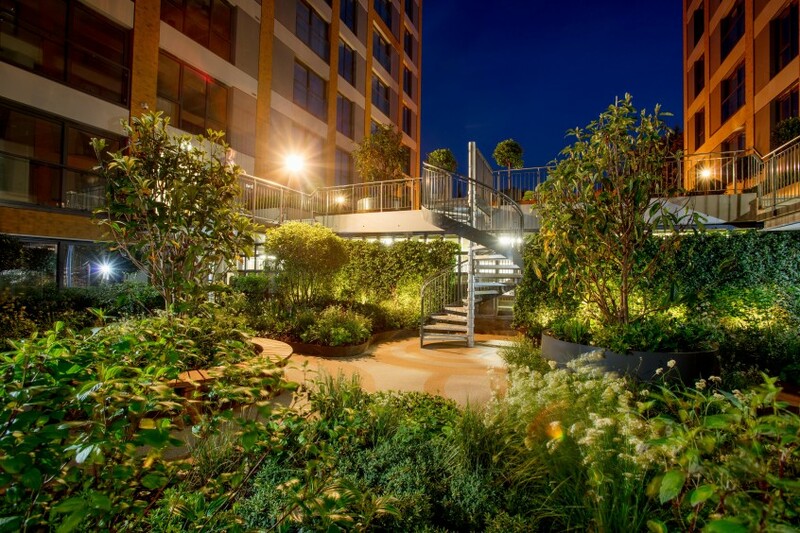 The Junction in Stockwell, Network Homes’ new development, is in prime position to take advantage of all the area has to offer, including the on-trend weekly markets. The one and two-bedroom apartments available at The Junction each have their own patio, terrace or sunspace for residents, with the shared ownership scheme, these affordable new homes can be purchased with just a 5% deposit. Prices start at £414,950 for more information, please call Network Homes on 0344 809 2026. If you have a little more budget, Kensal Rise, is a new luxurious development from Prime Place. Packed with some of London’s best independent shops, restaurants and bars, it has a village-like atmosphere, so it’s no surprise that Vogue voted Chamberlayne Road as ‘the hippest street in Europe’. Kensal Rise is a collection of beautifully designed one and two-bedroom apartments and four-bedroom townhouses built around a new multi-million pound sports centre including a 25m swimming pool, spa and health suite and an eight-court sports hall. Prices of the apartments at Prime Place, Kensal Rise start from £526,000. For more information on apartments at Kensal Rise call Prime Place on 020 7758 8487. Have you seen the Good Pubs Guide yet? It was launched yesterday, containing all the best spots to spend your weekend and leisure time. We love a good pub and so have listed a round up of our clients’ developments that are with easy reach of a tempting watering hole. The Guide named The Horse Guards Inn in Tillington, Sussex as pub of the year for 2017. This charming 300-year-old pub is hidden away in the South Downs National Park, just 30 minutes south of Prime Places’ new development in Godalming. The development comprises apartments, which range from one to three bedrooms, and penthouses, which range from two to four bedrooms, they are perfect for modern town-centre living. Each has a contemporary open-plan layout and most of the homes have a balcony or terrace extending the space. For more information, please call the marketing suite on 01483 351933 or email surreydi@hamptons-int.com. One that is unlikely to appear on the Good Pubs Guide, because it’s in a league of its own, is The Hand & Flowers pub in Marlow. Did you know it’s the only UK pub to be awarded two stars in the Michelin guide? Residents of Taplow Riverside, the new development by Berkeley Oxford and Chiltern will be just a 20-minute drive to Tom Kerridge’s fabulous offerings including, Half Beer Road Chicken with Orange braised summer turnip, Oak Gravy and Mushroom Crunch. 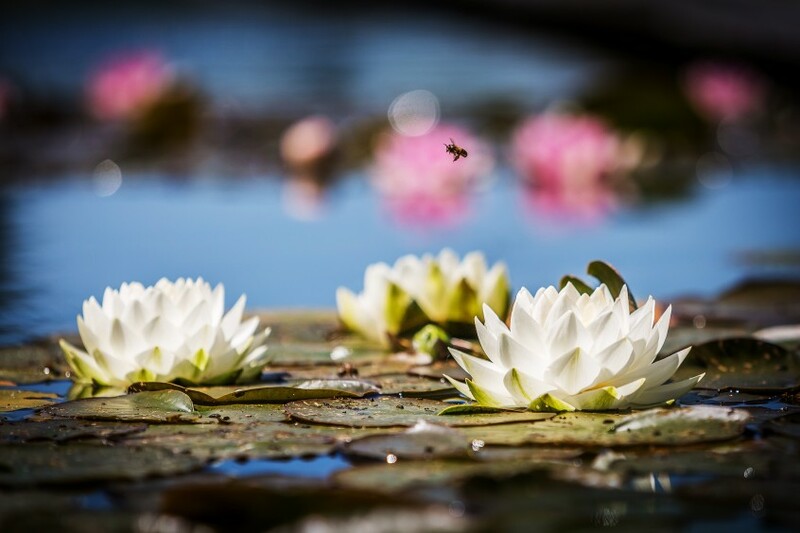 The new homes at Taplow Riverside provide quintessential waterside living with a collection of luxury houses, penthouses and apartments just a short walk from the centre of Maidenhead. Please contact the Berkeley Homes (Oxford and Chiltern) sales teams to register your interest as soon as possible on 01753 784417 or visit berkeleygroup.co.uk. Run out of ideas to keep the kids entertained this summer holiday? Inspired by the Guildford Lido open air cinema event that took place at the weekend, we’ve picked out a selection of homes close to brilliant outdoor attractions to enjoy before the summer holidays come to an end. Battersea Park – in association with the Luna Cinema – is showing three popular films this summer. These are Mad Max Fury Road on Tuesday 30th August, Mean Girls on Wednesday 31st August and Romeo and Juliet on Friday 1st September. Overlooking Battersea Park is Berkeley Homes’ new Vista development; a collection of luxurious one, two and three-bedroom apartments. Prices for a one-bedroom apartment start at £895,000. For more information, call Berkeley on 020 3053 6900. Or let your little monkeys blow off a bit of steam and take them for a swing at Wild Wood Adventure, situated on Lido Road in Guildford. With courses designed for both kids and adults, it’s a fun challenge for all the family. Highpoint, situated less than a mile away on Nightingale Road, is a beautifully-presented first floor, two-bedroom apartment available to rent for £2,000 pcm through Chantries. On the 27th and 28th August (bank holiday weekend) there will also be the annual Street Food Picnic taking place at Allen House Grounds, just half a mile from Highpoint, from 12pm until 8pm. For more information about Highpoint or other properties available in Guildford, call Chantries on 01483 405222. There really is nothing like listening to live music in the sunshine. Taking place during the Bank Holiday weekend on Sunday 28th August is Music in the Park at Godalming Bandstand, free for all to enjoy. There will be food and drinks available to purchase on site. While you’re there, why not pop along to the show home at Prime Place, Godalming which offers a centrally-located collection of contemporary townhouses and apartments, conveniently situated directly opposite Waitrose. Prices for a one-bedroom apartment at Prime Place, Godalming start from £277,995, available with Help to Buy. For more information, contact Prime Place on 01483 351933.